Kambalny Volcano is a stratovolcano with a summit height of 7071.68 ft (2156 m) which is located in the southern part of Kamchatka Peninsula, Russia (N 51 deg 18 min E 156 deg 52 min). While the Kamchatka Peninsula has the highest concentration of active volcanoes on Earth, until recently the volcano had been dormant, with the last recorded eruption happening in 1769, 248 years ago. On March 24, 2017, the volcano erupted and evidence of the eruption was captured by multiple satellites shortly after. The Moderate Resolution Imaging Spectroradiometer (MODIS) on NASA’s Terra satellite captured the ash plume from the volcano on March 25th. The day after the eruption, the ash plume had extended 100 kilometers (60 miles) to the southwest. 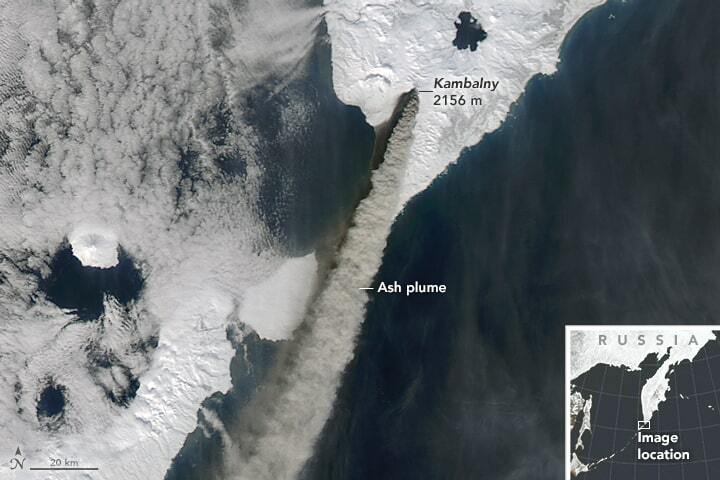 Satellite image from NASA’s Terra satellite of the ash plume from Kambalny Volcano on March 25, 2017. 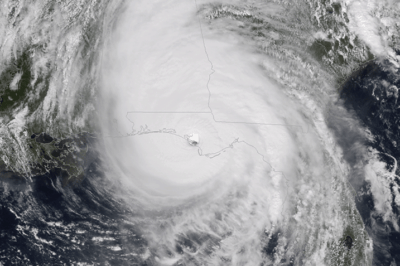 Image: NASA. 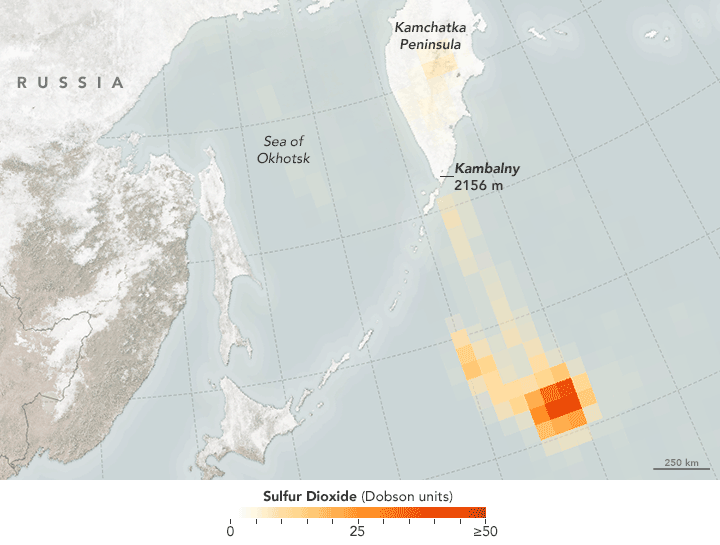 On March 26th, the Ozone Monitoring Instrument on NASA’s Aura satellite recorded an airborne plume of sulfur dioxide (SO2).